What Are The Benefits of Optimizing Liquidity? 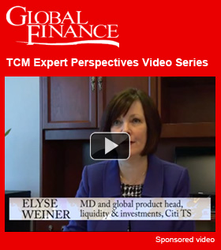 Elyse Weiner, managing director, global product head - liquidity & investments, Citi Transaction Services, discusses the key elements of an optimized corporate liquidity structure in Global Finance's Expert Perspectives Video Series. Julio Velarde Flores, Governor, Banca Central Reserva del Perú at 2016 Annual Meeting of the IMF and World Bank in Washington D.C. talks with Global Finance Editor Andrea Fiano. 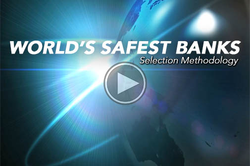 Andrew Cunningham details the Selection Methodology used in our rankings for the World's Safest Banks 2015.